Care of clergy in a changing Church and society is just one of the topics for discussion at a special clergy meeting in the Killaloe Diocese. Bishop Fintan Monahan and the clergy of the Diocese are to spend three days away in Loughrea from Sunday evening to Wednesday afternoon (5th-8th November). Lay leaders and retired clergy will cover services while the clergy are away. “We hope that our gathering will complement the vast amount of work being done both at diocesan level and at parish level to face the challenges facing us at this time,” said Bishop Monahan about the assembly of clergy. He said there is great work being done by lay people and clergy in union with each other. “I hope that during this time we will take the opportunity to evaluate aspects of our work that may need reflection and action. We will also be exploring the issues around the care of clergy that will arise from changing circumstances in the Church and society,” he said. Bishop Monahan thanked the retired clergy and lay leaders who have agreed to provide cover so that their colleagues can attend the assembly. Those parishes not covered by retired priests will have lay leaders who will offer community led liturgies. Bishop Monahan stressed the importance of these days for future planning, and has asked for the consideration of the people as only essential and urgent services will be available during these three days. He invited the prayers of all the people of the Diocese that the Holy Spirit may guide all as they strive to “build up God’s Kingdom and create a better world”. In July 2016, Fr Fintan Monahan was nominated as the new Bishop of Killaloe. He was then the diocesan secretary in the Archdiocese of Tuam and a member of the Communications Council of the Irish Episcopal Conference. 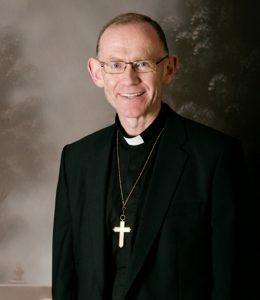 At 49 years of age, he become the youngest bishop in Ireland at the time. He said how he was “humbled” by the appointment and as it was the feast of Saint Martha, he said she was a model of service, hospitality and prayed for such qualities and gifts in his new role. He indicated that as he was totally new to the role and the diocese, he would look forward to learning all about the region and collaborating closely with priests, religious and people of many parishes in the diocese. He said it was a privilege to be able to continue the work of evangelisation, faith development, clustering, pastoral planning, and vocations promotion, care of priests, youth ministry, safeguarding children, liturgy, prayer and spirituality.